Compatible with Culinary Modular Cast Iron Grid or any Campingaz® BBQ which contains this grid. 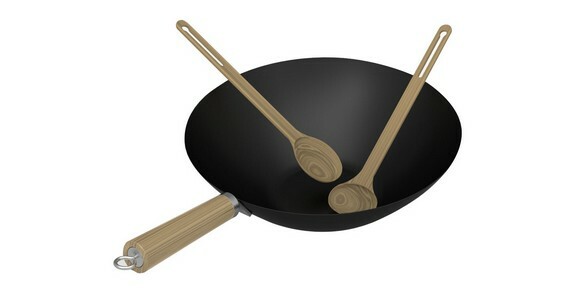 Carbon steel Wok with non-stick coating, perfect for Asian dishes made directly on the grill. Wok en acier-carbone avec un revêtement anti-adhérent.